It's all in the design. The hand-held transmitter of the 2000 series shows its strength: during use, in its performance, in its features. 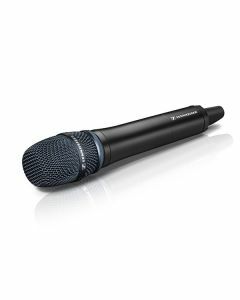 Sennheiser's technical know-how is shown through its switchable transmission power, intuitive menu navigation, an easy-to-read graphic display and external charging contacts for charging the optional rechargeable batteries directly. SKM 2000 is compatible with all ew capsules, including the MMK 965-1 true condenser capsule, whose wired version, e 965, has already proven to be a great success.